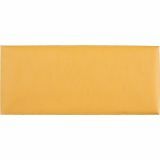 Quality Park Kraft Envelope, #12 (4 3/4 x 11), Brown Kraft, Gummed Seal, 500/Box - Manufactured from sturdy kraft stock, these No. 12 envelopes provide full security for bulky mail. 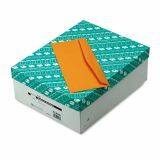 Ideal for use when strength or confidentiality is desired. Also popular for in-office use. 28 lb. 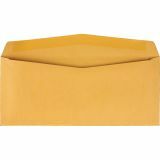 envelopes feature side-seam construction.